WASHINGTON — Consumer spending rose by a solid 0.4% in June, while a key gauge of inflation increased at an annual pace of 2.2% for a second straight month — the strongest back-to-back gains in six years. The gain in spending followed an even better 0.5% rise in May, which was revised from a 0.2% initial estimate, the Commerce Department reported July 31. Incomes rose a solid 0.4% in June, matching the May increase. Inflation over the past four months has been at 2% or slightly above 2%, which is the target the Federal Reserve seeks to achieve for price gains. The Fed raised rates three times last year and has hiked rates twice so far this year. Analysts don’t expect another rate hike at this week’s Fed meeting but are forecasting hikes in September and probably December. President Donald Trump has criticized the Fed’s recent rate hikes, warning they could dampen strong economic growth. The economy grew at a 4.1% annual rate in the April-June quarter, the fastest pace in nearly four years, and nearly double the 2.2% gain seen in the first quarter. Much of the boost came from a rebound in consumer spending as consumers began to spend the extra income they received from the $1.5 trillion tax cut Trump pushed through Congress in December. 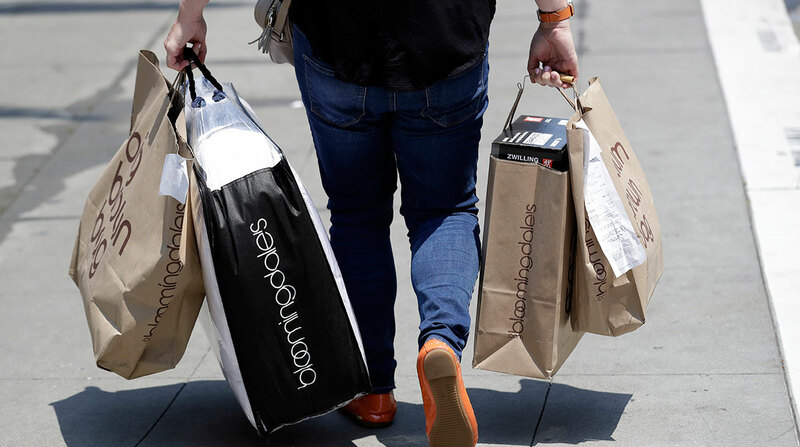 Consumer spending, which accounts for 70% of economic activity, grew at an annual rate of 4% in the April-June quarter after a lackluster gain of just 0.5% in the first quarter. The Trump administration is counting on strong growth to continue in coming quarters, but analysts caution that the 4.1% growth spurt in the spring reflected temporary gains. However, they believe there is enough momentum to keep the economy growing at a solid 3% rate in the second half of this year. The saving rate stood at 6.8% in June. The May level also stood at 6.8%, though that figure was more than double the previous estimate of a saving rate of 3.2%.